A final look inside Derrick Rose's road to recovery. "I would die on that court." Since mid-August, adidas Basketball has provided us with a look inside Derrick Rose's long road to recovery with the web-based series "The Return of D Rose." We've seen his belief, hope, focus, push and drive as he works his way back to the United Center court. As the old saying goes, all good things must come to an end, and with that we have the anticipated final episode. 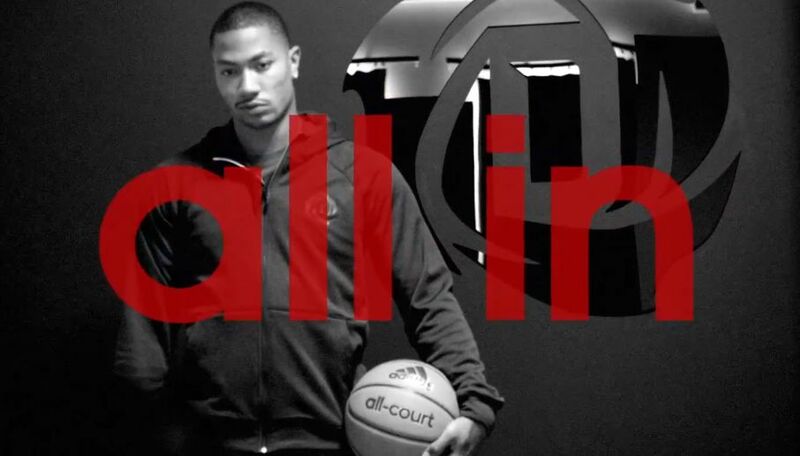 In "all In," Derrick reflects on the series, the warm reception from his fans and teammates and the progress he's made in the gym. The clip is inspired by Derrick’s motivation that fuels his recovery – his inevitable return and hunger to win. Also featured in "all In" are some of the most inspiring tweets from users across the globe. D Rose fans can continue to follow the conversation through facebook.com/adidasbasketball, adidasbasketball.com/thereturn and on Twitter with hash tag #TheReturn at @adidasHoops. The D Rose 3 basketball shoe and D Rose collection is available now at adidasbasketball.com/thereturn.